Happy Friday Friends!! Well, this week FLEW by since Ben and I were gone on our little getaway for 2 days!! It was so NICE!! So nice in fact that I am dedicating this week's Friday Favorites to share with y'all some of our FAVORITE moments on our trip! Anytime, Ben and I can get away just the two of us....it's ALWAYS A FAVORITE! Holy Cow! Where is this summer going?? It is already the end of JUNE...just crazy!! Since it's the last Wednesday of the month I am joining Mel, Shay, and Sheaffer for What's Up Wednesday!! Hey Friends! I hope your week is off the a great start! Ben and I are off on a litle getaway! Make sure you follow me on Instagram to follow along! With my whole dishwasher/floor issue, (are y'all tried of hearing about it?) I haven't decorated for the 4th of July....I just keep waiting for dishwasher parts and insurance people!! I feel like if I add more decor I am just going to have to move it when they replace my floors whenever that may be. However, last year, I shared an AMAZING red, white, and blue sangria so today I thought I would share it AGAIN because trust me...you need to make it ASAP!! I love anything red, white, and blue. Don't you? I love sangria. Ben's aunt makes an amazing sangria that we drink just about anytime we are all together. So I thought I would "tweak" her recipe and make it red, white, and blue for our upcoming 4th of July party! You can find my super cute red, white, and blue wine glasses here. Happy Monday!! I'm not so sad about this Monday because Ben and I are headed off on a little getaway this afternoon! Make sure you are following me in IG to follow along!! I hope you will grab our graphic and join us for Hello Monday!! Happy Friday Friends!! Another week of summer vacation has come and gone and it makes me so sad! This summer is FLYING BY!! We start back to school in a little over 5 weeks. How crazy is that?? Enough with thinking about starting back to school...EEK Let me share a few of our FAVORITES from this week. Sunday evening, Ella and I tried a new mask. 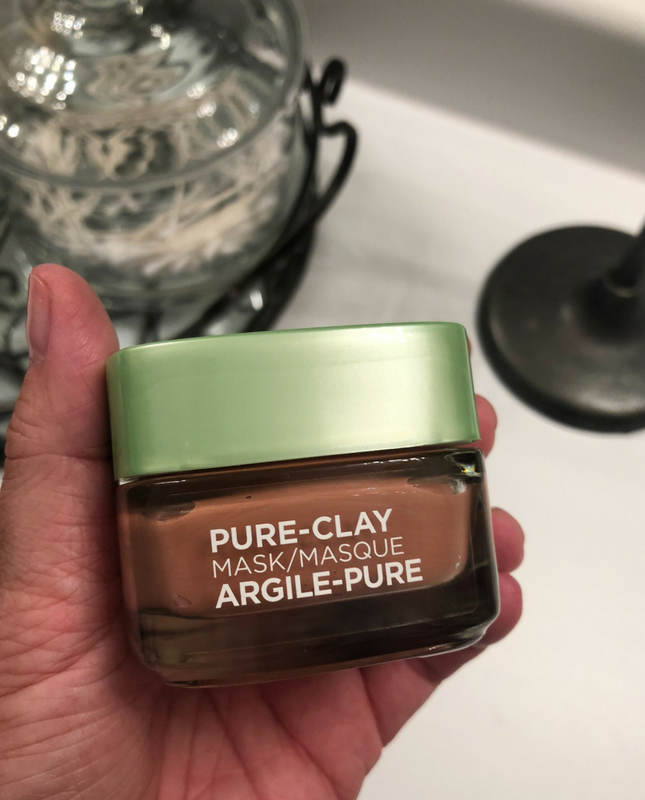 It is L'oreal Pure-Clay exfoliate and refine pores mask. I was in desperate need to exfoliate my face with all the sunscreen that I have been applying lately. When I washed this mask off, my face felt so smooth. Then I applied my Rosehip oil. 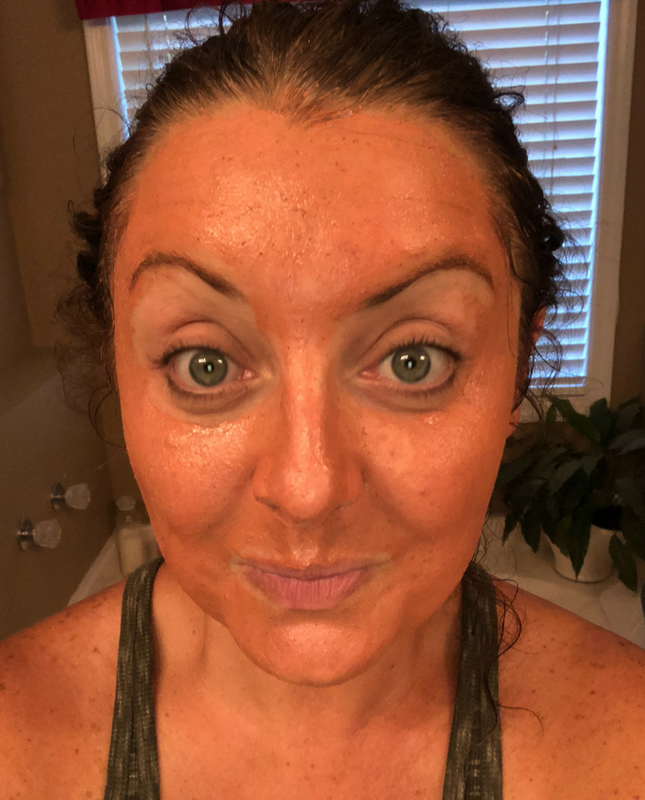 Having a clean and smooth face is always a FAVORITE! Monday mornings are quickly becoming a new FAVORITE routine. 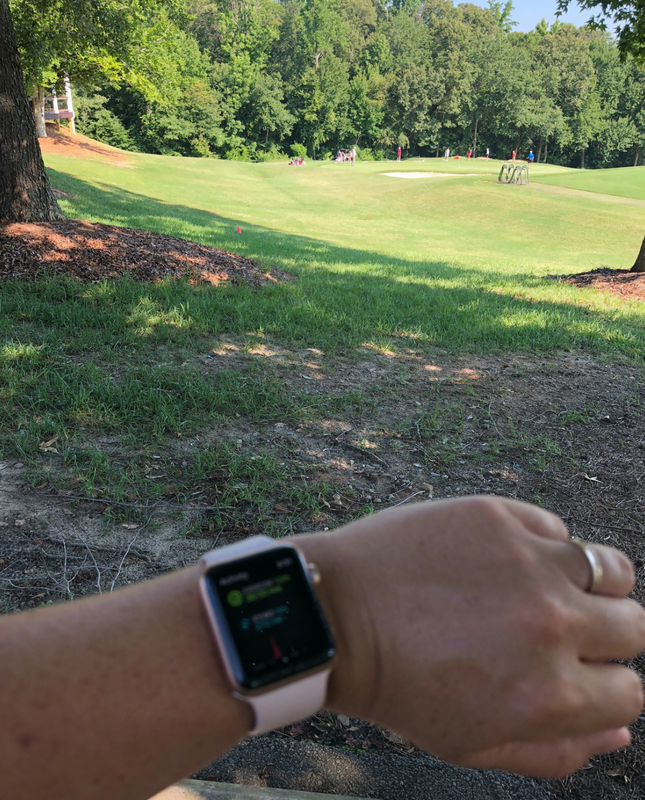 Ella has her Project Scratch and Ian usually hits balls at the driving range so I get some cardio in by walking around the neighborhood while I listen to a podcast. My FAVORITE podcasts are Goal Digger, Dais Podcast, and The Big Boo Podcast! Tuesday afternoon, Ella and I played one of our FAVORITE board games, Clue! Spending time with this girl is always a FAVORITE!! 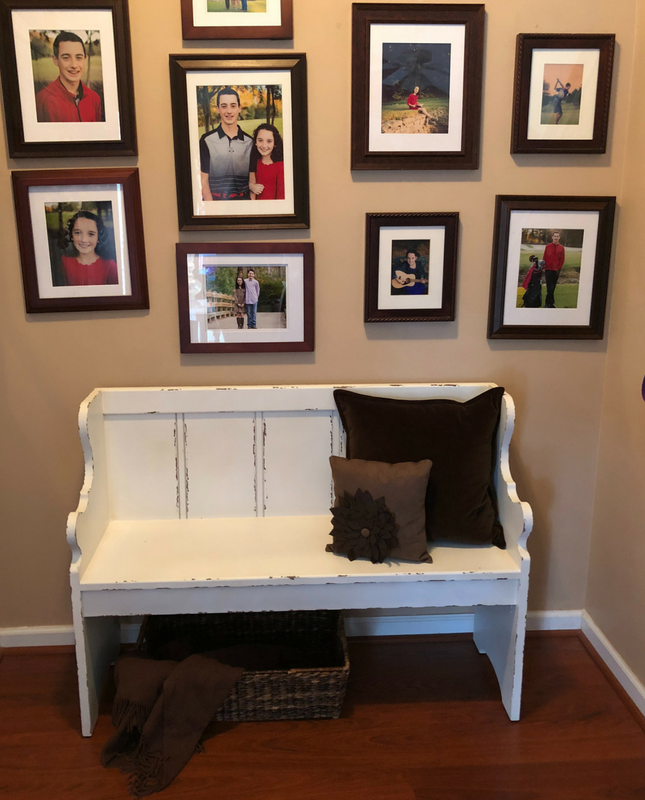 Last Sunday, my sweet mother-in-law bought me this bench for my entryway! I LOVE IT!! It was on sale and then we had a 20% off coupon! SCORE! It is a FAVORITE for sure!! We are taking a road trip to Southern with Grace again tomorrow! I can't wait to see if I can find some fun new pillows to go on it! As a maker, I try to work a season ahead so that I'm ready for shoppers! Right now, I am working on new fall products for the shop! 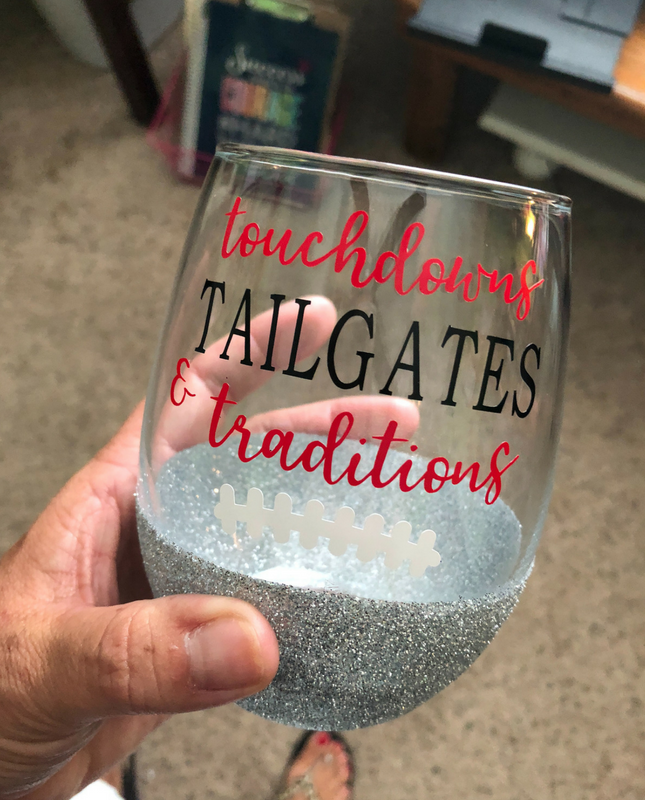 This football glass is a new FAVORITE, for sure! I have already gotten an order for it and I haven't even listed it in the shop yet!! What are some of your FAVORITES from this week?? I can't believe the first day of Summer is tomorrow! My kids have been out of school for almost a month now and we are making lots of fun memories! Hey Friends! I am so sorry I didn't get a post up Friday but last week was just weird. I just felt "off" Does that make sense? And this whole dishwasher/floor issue is just throwing me all off! For 2 days, I had floor people, dishwasher people, etc in and out of my house. I really hope to have this issue resolved SOON!!!!!!!! But I shouldn't complain because we are all healthy, happy, and loving SUMMER!!! Anywho, I hope you will grab our graphic and join us!! Make sure you link up below... 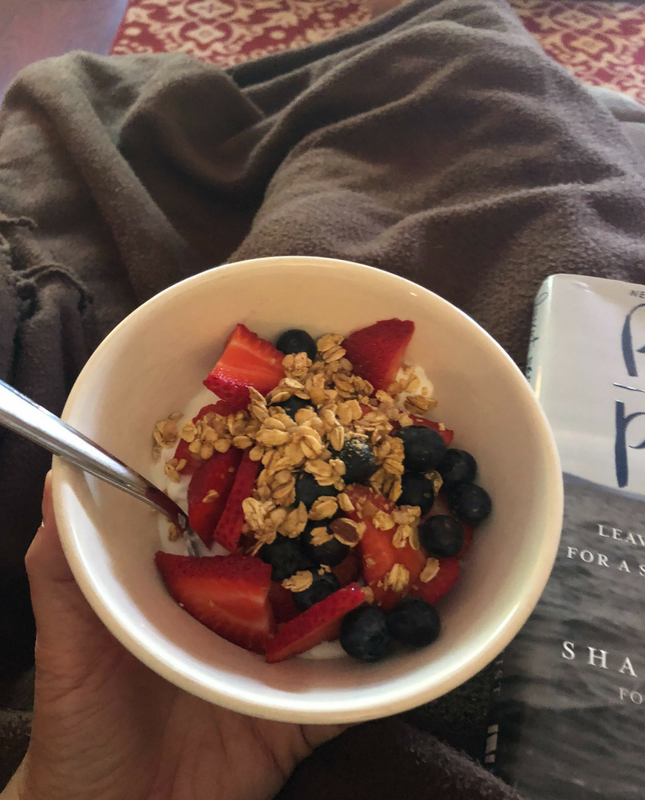 I normally share our weekend recap on Monday's but today I am sharing a little bit of life lately. Today I am sharing Days 3-6 of our beach trip!! Happy Tuesday!! Hope your week is off to a great start! We headed to a sunny beach in south Florida for a week of relaxing and sunshine!! I was finally able to get caught up from vacation and get all my pictures uploaded and edited!! Today I am going to share days 1& 2 of vacation!! Hello Monday! I hope you all had a fantastic weekend! I know we sure did! I hope you will grab our graphic and join us!! Happy Friday Friends! I hope you have had a great week!! We have had a lot of fun our first full week of summer vacation at home!! As usual, I am sharing a few of our FAVORITES from this week! 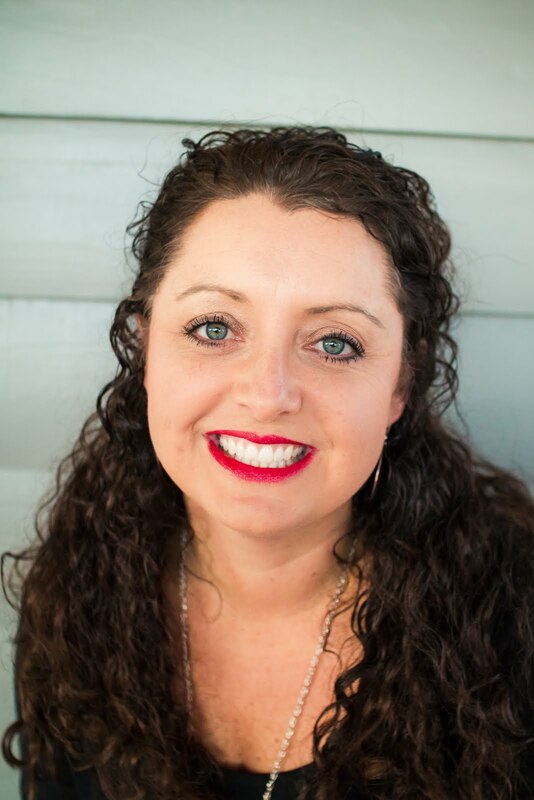 It's the first Wednesday of the month so I'm joining Anne from In Residence for this month's CURRENTLY Link-up! Let's see what I purchase this month from Amazon! We are BACK from the beach! I have felt like a chicken with its head cut off since Saturday around 3 when we pulled in the driveway! Why is getting back into the swing of things so hard??? I hope you will join us for Hello Monday! 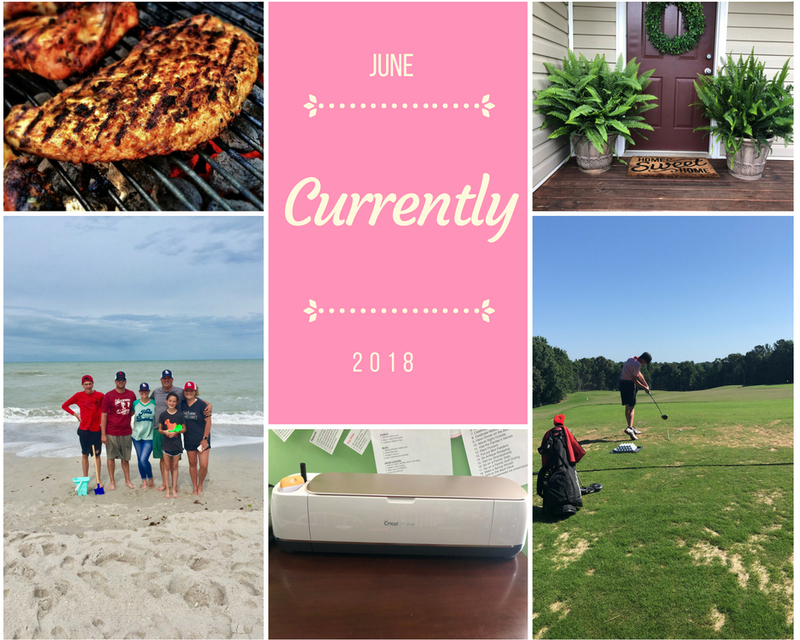 I normally share our weekend recap but I haven't had time to edit all the beach pictures yet, so I am sharing my monthly goals for June! !